Lily is bright (and groovy): bookshops have been fetishised into a commercial vacuum and have become part of the National Trust’s hinterland but with free entry. Now that The Guardian (possibly the worst newspaper in the world) has stopped dribbling their weekly nappy rash articles on how wonderful ‘independent’ bookshops are, these bookshops can be taken off the vintage and nostalgia shelf that at various times has stored red telephone boxes, trunk calls, railway steam engines, woofers and a wireless, and those little cardboard trays that Bounty bars used to sit on (remember them?). It really is up to individuals to determine how they shop, and of course I can’t make out a case much that any shop exists other than for shoplifters and thrifty well-wishers; a shop can stand only on how it is valued and supported. So even though it is actually quite difficult to assess if Lily is for or against small bookshops in Oxford, though I think she is, at least I am not left sprawling on a pin: to have people constantly drip in and out of the shop with eyes on a stalk, like rabbits caught in a car’s headlights and with mummified and marshmallow goofiness a la Barbara Cartland is just too much. 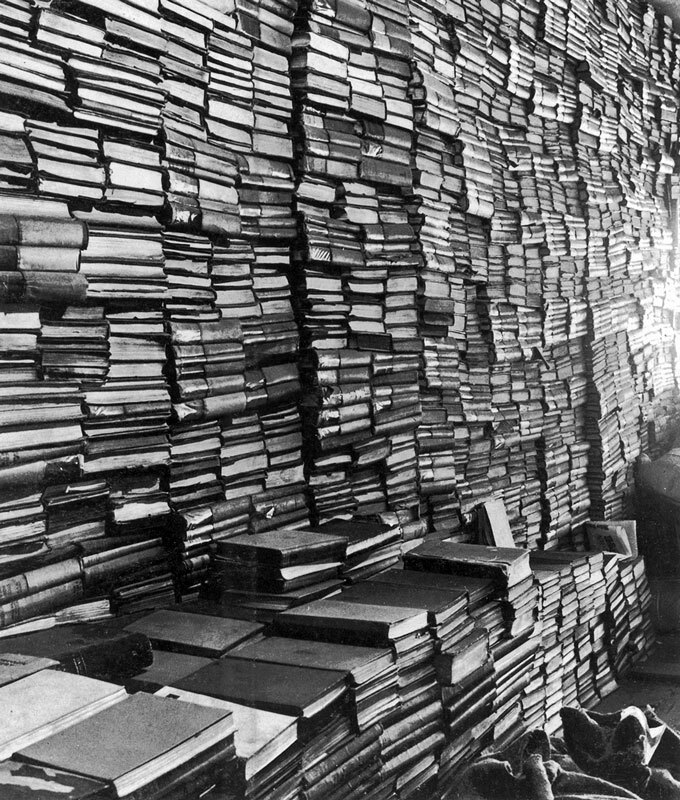 Books are not flock wallpaper perfect bound with glue, nostalgic and devoid of meaning; rather they are objects of use that can link the sublime to the ridiculous. At least Lily is not humming The Kinks’ Village Green Preservation Society with its “pictures of things as they used to be,” where “all my friends are all middle class and grey, but I live in a museum, so I’m okay.” Bookshops aren’t actually museums and the sooner they are treated as part of the present world the better. And the less grumpy I shall be. I’m not sure if Lily is standing in the next General Election or not. If she is, I shall vote for her. The joy of small bookshops, Black Books style…. This entry was posted on 23rd February 2015 by admin in bookselling and tagged bookselling.